Last summer my wife and I had a second kid! Leading up to that life changing event, I knew it was probably time to part ways with my beloved 2008 VW R32. I miss that car. It was all-wheel drive, the exhaust note of the iconic 3.2L V6 was electrifying, it had a hatch which fit a decent amount of cargo, the paddle shifters to control the dual-clutch 6 speed transmission was incredibly fun, and it was paid off. I sold the R32 and my motorcycle so that I could buy something to fit a family of four. The thing is, I didn't just want any car. I wanted something different. Something fun. So, I bought a Jeep Wrangler. I want to take this thing on some trails, but I have no idea where to start. What do I need to be prepared? Where should I go in Northern CA? How do I navigate the trails? I'm not looking to go rock crawling-- I'd just like to take the Jeep off the pavement for some casual exploration. Maybe places that require the crossing of a small stream or navigating around shallow ruts. Most importantly, I'd like to arrive at locations with awesome views that aren't accessible via normal roads! Does anybody have experience with this type of stuff? Welcome to the world of off-roading! You could be heading down a very fun, but might I say expensive hobby. You're in just the right place to enjoy some wonderful trails. Green dot (1-2): Trails that may not require 4WD in all places. Blue square (3-5): Requires 4WD at all times. 4-LO is necessary in spots. Challenging to drivers new to off-roading. Yellow Triangle (6-7): Same as blue square, except that it's challenging for all drivers. Black Diamond (8-9): Extra high clearance required. Lockers and taller tires with a lift are helpful. Highly likely you'll get stuck. Double Black (10): Toughest 4x4 found in the USA. Off-road driving knowledge and experience is way more important than the equipment you have. You can easily roll your rig on a green or blue without proper training. Knowing your rig's limits is very important to avoid damage. I learned everything by going on numerous trips with experienced off-roaders. I've found the off-road community to be one of the most inclusive. It's easy to find people willing to teach newcomers. Feel free to answer some of these questions. Then I can give you more guidance on where to go and what you need. What's the max trail rating you want to attempt in say your first year of off-roading? Do you have lockers (locking differential) and what's your tire size? How much time do you want to spend on the trails? Would half day, all day, or multi-day be your max? Are you willing to drive a few hours to great trails? Wow this is a great intro. Thanks for the response! I didn't know these types of trails were marked and ranked. Side question for my curiosity if you so happen to know: Do the state parks department manage this or is it done by volunteers? Since this would be the first time ever attempting this, I should probably stay very conservative and stick with green dots and maybe easier blue squares. Yes the Jeep does have a front and rear locking differentials and 33" tires. How much time do you want to spend on the trails? Half day sounds like a good starting place then go from there. Are you willing to drive a few hours to great trails? Maybe not the first time, but after that yes! Trail ratings are set and maintained often with no official authority. It's an ambiguous and imperfect system in a lot of places. Luckily, the enthusiastic community governs the ratings and publishes them online and in guidebooks. 33's and lockers on both axels are a recipe for success. You're more than capable of tackling things up to 7. Black diamonds (8-9) are also possible, but bottoming out or sustaining damage could happen without light mods. I'd say you'll want some basic recovery tools for anything over a green. - A couple multi-ton tow straps. Only a few dollars at Harbor Freight Tools. - Tire recovery. Get some MaxTrax recovery boards. These things are amazing. All you do is put them under slipping tires to get out of a bind. - A basic tire repair kit to fix flats. If you get more than one flat, and you can't repair a tire, you're SOL if you only carry the stock spare. - A good electric air compressor and tire deflators. You need to let air out when you get to dirt for ample traction, then fill the tires back up when you get back to pavement. Tire deflators automatically let out air until they hit a preset pressure. Your 33's will take multiple minutes to default down to an off-road worthy PSI, so it's way better to not have to manually hold each schrader valve open, and constantly check the PSI. - Fire extinguishers. A brand new Jeep is NOT going to catch fire, but why not have one? It's always a good thing to carry. For yellows and blacks, I'd highly recommend a good bumper-mounted electronic winch. A winch is even useful on greens and blues, but more so for the convenience. A winch is often the fastest and best recovery tool, even when it's not required. It's amazing what a good winch will get you out of. If you have one, you WILL use it on blacks and occasionally on yellows. You'll be pulling people out that are less equipped on greens and blues. The Wranger comes with a stock sport bar. 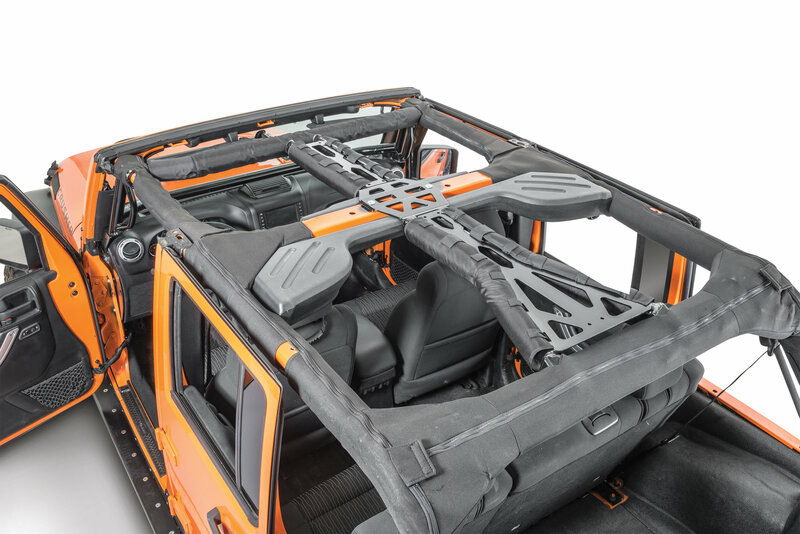 Jeep makes sure never to use a roll bar or roll cage in their marketing because the sport bar is not a roll bar or roll cage. You can add some bars between the sport bar to make a roll cage. This makes rollovers significantly safer, both on pavement and off-road. If so, start Summit Road from Highway 17 to Mt. Madonna State Park. It's an extremely easy 2WD dirt road to get you started, and there are lots of offshoots to explore. - Hollister Hills SRVA is a great place to get your feet wet. They have all sorts of meetups there where you can meet experienced people that will take you along. It's a small 800-acre park but its fully dedicated to offroading with every trail rating and obstacle imaginable. - Pismo Beach's Oceano Dunes is one of the few place in the country where you can drive on the beach. Your jeep can handle it no problem, and it's a good place to start out. But don't underestimate sand. It's still easy to get stuck. 2) Tassajara Road - a long, green road with epic scenery the whole way. 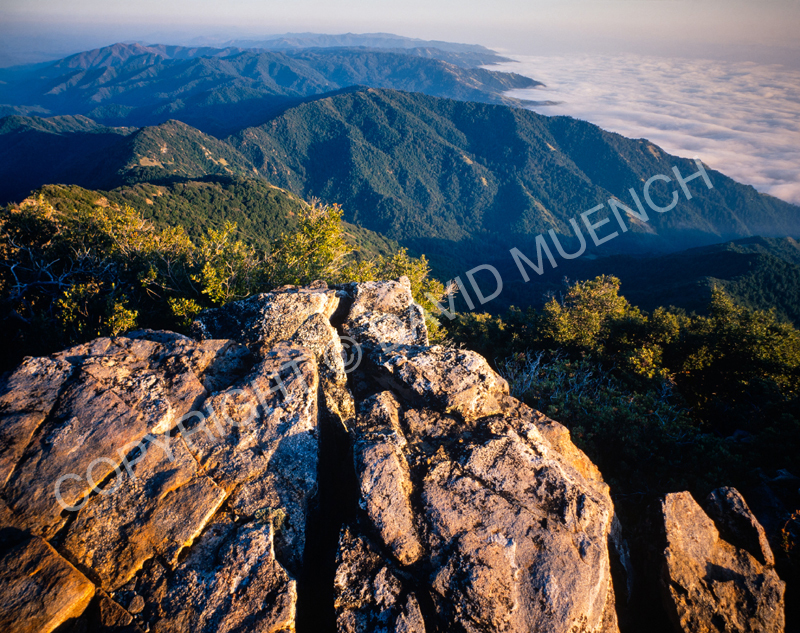 Lots of jagged ridge lines, oak and redwood forests, and wide open chaparral. If you're up for driving to the Sierras, you have 10's of thousands of miles of dirt to explore with the grandest views in California. Trail ratings are set and maintained often with no official authority. It's an ambiguous and imperfect system in a lot of places. Ok don't scare me! 😀 So are the easier trails just fire roads? If the ratings aren't maintained by an official authority what about the trails themselves? This is all super helpful! Those adjustable tire deflators look awesome. I never knew such thing existed. I do have a follow up question: how do I know what PSI to air-down to when out on the trail? Yup, I am in the Bay Area! That Mt. Madonna State Park drive seems perfect. It's not far and it sounds like I can ease my way into it. YOU MUST PUT MOAB, UTAH ON YOUR LIST! The point is that you can find some really easy stuff in Moab and the kids would love camping there.....a little toasty in the summer but a great road trip! Yeah that sounds amazing! I definitely want to work up from half day trips to over-nighters with the kids! I can't wait for that. The offroad community is super inclusive. Caravaning on trails with other vehicles is like a party to Jeepers. Jeep forums have area-specific sub-forums where people coordinate trips that you could jump in on. You should also check out Jeep Jamboree trips. They're a thrill to go on and they're dedicated to getting new comers out there. I like Moab, a lot. Here's us on Rose Garden Hill, it's a black pushing double black. Fun but I damaged some stuff, and this isn't even a stock jeep. @vegasphotog is spot on. Moab has everything, and also it's not just a Jeep destination. It has amazing national parks and all sorts of land for wonderful outdoor sports. White Rim Trail is on my bucket list. It's a 70-mile moderate trail that circumnavigates the rim of Canyonlands National Park. Your Wrangler is more than capable of doing the trail. @overlander: Do you have any insight to these questions? If the ratings aren't maintained by an official authority what about the trails themselves? Is it all done via by volunteers? I'm trying to understand how much trust I can put into the condition and safety of these trails. How do I know what PSI to air-down to when out on the trail? Is there a standard set-it-and-forget-it PSI that is suitable for most green and blue trails? You need to experiment for yourself and see what makes sense with your specific vehicle. I've run as low as 3 PSI for gnarly rock crawling and in sand. I usually run 7-8 PSI on most trails (like Hell's Revenge👇). If it's very easy 4x4 terrain, I'll do 15 PSI. If it's an easy graded road, I'll not bother airing down the tires. As for trails, I personally proceed at my own risk and assume that there could be obstacles I might need to turn around for. I saw that @DanSolarMan here on cake is a serious jeeper. @DanSolarMan - how would you advise Brian on checking trail conditions? I would say your tire pressures are spot on. Our race tires are rated at 50 psi max. It is totally trade secret what each racer runs. Most of them if you ask they will lie. We run a goo in the tire that is supposed to prevent leaks. Most racers will deny that they use the goo. Keeping your tires inflated is a big deal and pressure even bigger. Guys used to leave flats all over the course. They now penalize you if you do and each tire must be labeled as yours. That and leaving your catheter for someone to pick up are big no, no’s. I would never go out alone. The extreme trails are usually scouted for seasonal damage. Each Jeep club has a rotating scout that is supposed to pre-run the more difficult trails before the entire club goes out. Most of the trails we run have been run so many times they are committed to memory. Many though are seasonal with some opening in late July. Trails like the Fordyce have a creek crossing at the start that depending on the year may be un-runnable because of high water. Rubicon used to have a large boulder gate keeper that was a challenge right off the start but somewhere along the line dynamite took care of that. Each terrain has it’s own challenge, many times a club member will literally walk ahead of the group the entire trail. Most trails are marked for difficulty. Experienced spotters are of great value and everyone is trained in safe winch technique. How to properly set up jacks and how to inflate a popped tire on the trail. My first time running the Rubicon a buddy popped a bead and a little starting fluid sprayed in the tire and a match attached to a stick, BOOM! Bead back in place. Tickled the heck out of me at the time. Mostly runs are just a huge social event, we have things like the Stag run where the guys just go out and break things. Or the Doe run, no men allowed. Whatever your skill level the beauty of the sport is that there is always someone there to help. At our race in Pahrump last year our main rival Billy Bunch was pitting right next to us. We were low on brake fluid. Here comes a member of his team with a bottle of brake fluid. @DanSolarMan - Thanks for all the info! You are exactly right, it is so second nature to me to go with other vehicles that I forgot to explicitly mention to never go alone as one vehicle. Going with a group of vehicles is a requirement on most Jeep trails. @bstrong, I would say you're safe to go on forest roads and what not by yourself. Once you graduate to stuff where you need 4-LO, never go alone. Even for experienced guys, having a group is necessary for getting unstuck or just getting out of the wilderness if your vehicle breaks down. But for you Brian, going with others will also be a huge benefit for learning how to navigate the trails. My first time running the Rubicon a buddy popped a bead and a little starting fluid sprayed in the tire and a match attached to a stick, BOOM! You can see our jack on the rear quarter panel. One on each side. Screw jacks. Behind each driver and co-pilot are battery impact wrenches. They run the jacks and lugs. We can change a tire in about ten minutes. It almost takes longer to get back buckled in. We will usually leave our Hans device in place and helmet on while changing a tire. To much time lost otherwise. In this shot you can see our lightbar has been knocked off by a tree. It is resting on the cowling. We managed to save it until the pits then cut it off and go! ON NICE battery impact wrenches are such a time saver! I carry a DeWalt impact drill with me, with the powertool socket adapters. As you can see in that last photo, my friend drove a little father than he should have on that flat. It jammed the lugs so much that we had to use his stock bottle jack to torque the wrench enough to loosen them. The DeWalt wasn't strong enought. This impact wrench is on my wishlist. I can't justify buying it now, because I don't race and the dewalt works for now, but I want it. If anyone wants to track us today we are in Jeep 3714 we start at 1:30 pacific. Hey Dan....good luck....I could not get the http://themint400.com/ website to load up....I am going to be down around Lake Mead today but I might drive over to Jean and see if I can get some pics....I will look for your whip. We lost a front driveline and took second. A really good clean safe race. I’m not sure what we took overall. Wow...amazing dude....it seems they made you pay EVERYWHERE around Jean...do I did not see any racers...great job!